When things get crazy during the week, it’s always great to have quick, easy, go-to recipes to pull from so that you don’t resort to fast-food or expensive restaurants. 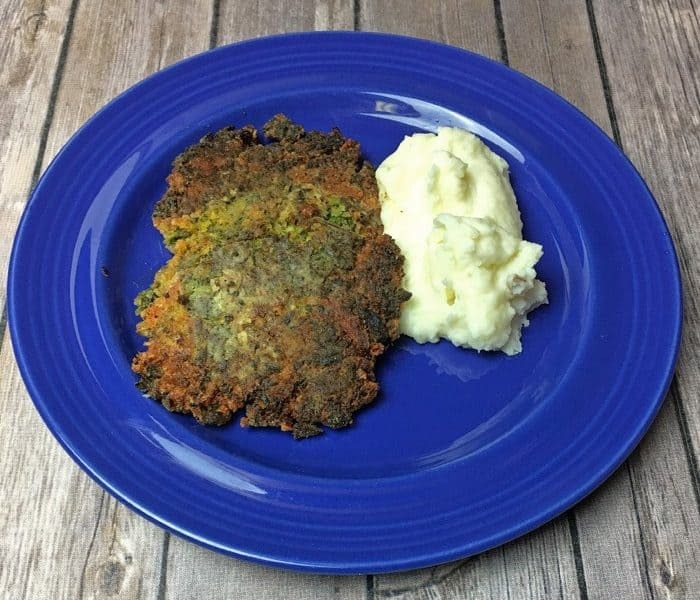 Broccoli patties is one of those recipes! for us! 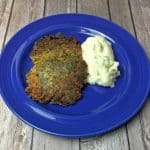 This recipe artfully combines crisp, fresh broccoli with leeks and garlic, crunchy panko breadcrumbs and two types of cheese (vegan cheese works too!) Instead of being overwhelmed by cheese, the flavor of the broccoli really shines through. We LOVE the more subtle flavor of leeks, but you could easily substitute chopped onion instead. Heat 1 tbsp oil in skillet over medium heat. Add leeks and garlic and saute until leeks are soft, 3 to 5 minutes. Add broccoli and water. 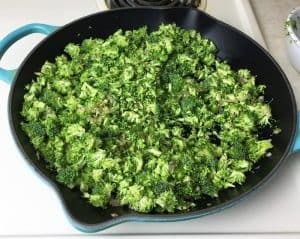 Cover and steam until broccoli is crisp/tender, 3 to 5 minutes. Remove to a bowl and allow to cool slightly. 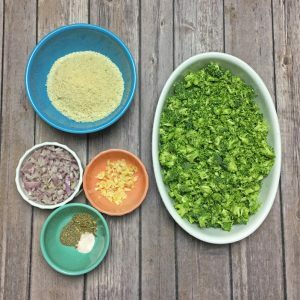 Add panko, eggs and cheeses to broccoli mixture. Season with salt and pepper. Mix well. Heat 1 tbsp oil in a large nonstick pan over medium heat. Scoop up 1/6 of the mixture with a large mixing spoon. Use your hand to form the mixture into a firm mound on the spoon. Being careful not to touch the hot oil, transfer the mound to the pan and use the back of the spoon to flatten into patty. Repeat with remaining mixture (depending on the size of your pan, you may have to cook the patties in batches). Cook 4 to 5 minutes until brown on the bottom (lift gently with a spatula to check). Very gently slide spatula under patties and turn over. Cook until second side is browned. You may need to add a little more oil (not too much!) to help the second side brown. If desired, sprinkle with additional cheddar and/or Parmesan and allow to melt slightly. Serve hot.